Dynamic pricing is a modern strategy used by retailers to find the most optimal price point based on data gathered through Data Feeds and Tracking Apps like PriceMole about consumer behaviour, seasonal trends and competitors’ activity. It strays from having fixed prices and decides to use variable and flexible pricing to reflect market activity. In our current digital market it’s easy to spy on your competitors, learn about their pricing trends and demand planning. Retailers can use price optimization tools that offer dynamic pricing strategies. PriceMole uses technology advancements like machine learning to gather and analyze data that influences your prices and formulates optimal pricing according to the circumstances. Optimal prices are periodically calculated by dynamic pricing algorithms and updated to reflect changing conditions. Competitor prices: Competitors pricing is a key variable to consider to give you a competitive advantage. PriceMole constantly monitors the prices of online competitors to ensure it can offer better pricing. The optimal pricing occurs when bestsellers are priced cheaper than your main competitors to attract customers, then price related products next to it at a higher profit margin with psychological decimal points so the consumer never notices the price increase. Seasonal Shopping trends/Demand : Prices can be adjusted according to the time period when demand for a certain item usually surges, such as before and during a holiday season such as Christmas. Monitoring your competitors to understand demand gives you a huge advantage. Additionally when your competitors go out of stock, there lie great opportunities to increase your sale price and market to the audience looking for this product. PriceMole uses Machine Learning to train predictive models based on years of consumer and retail eCommerce data. Check out my next article on: "Machine Learning price personalization" to learn more about the influence of a Machine Learning pricing engine. Dynamic pricing allows retailers to present the optimal price that is most likely to maximize sales conversion and margins. 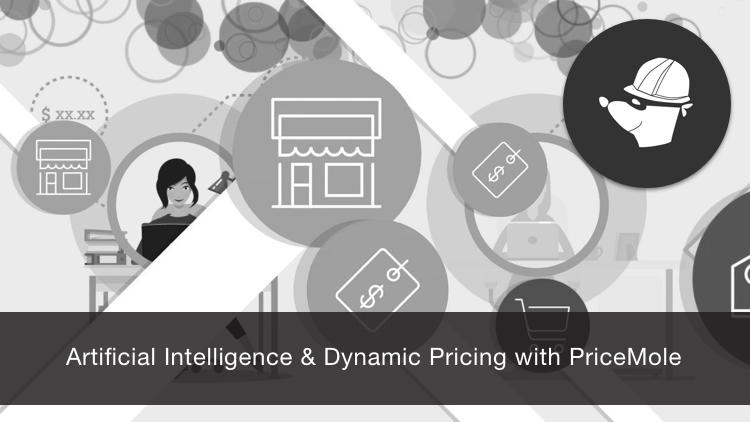 Start using dynamic pricing today with PriceMole's price strategies! You can try PriceMole and Oracle Price on the website or on Shopify for free. You can add your competitors or ask the team at PriceMole to discover who your main competitors are in today's market.